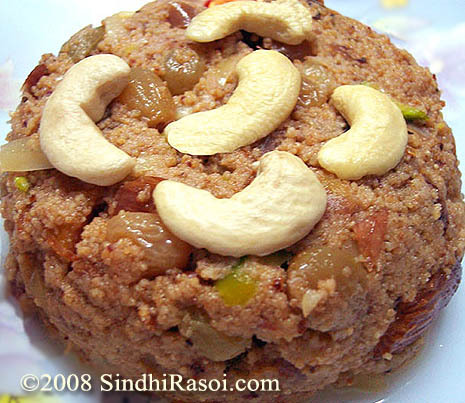 Dhaarun or Pomegranate is yet another exotic ingredient used conventionally in Sindhi cuisine. 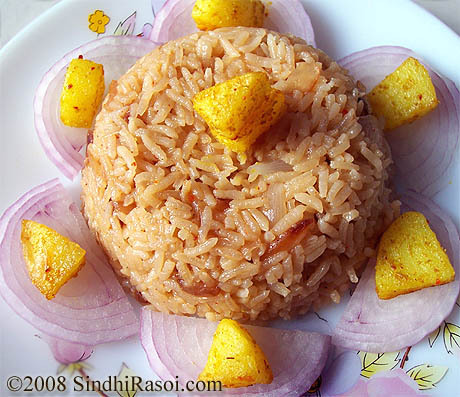 Generally the dried seeds of Pomegranate, commonly known as Dharun Khaata (Annardana) are used in popular Sindhi food like Koki , Sannah pakora, Tidali dal etc. But the chutney made from fresh pomegranate seeds is also served at many street food carts selling popular sindhi snacks like Pakora, samosas and even Panipuri. Dhaarun Ji chutney has a very refreshing flavor imparted by fresh, juicy, sweetish, slightly tart pomegranate seeds and some earthiness from coriander leaves. 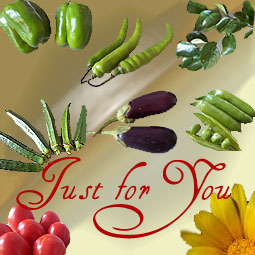 The hint of minty flavor and aroma, and the heat of chillies,well rounded by the black salt , makes it very appetizing . If you prefer more tart dip, feel free to add some lemon juice. You can make this chutney using dried seeds instead of fresh pomegranate. 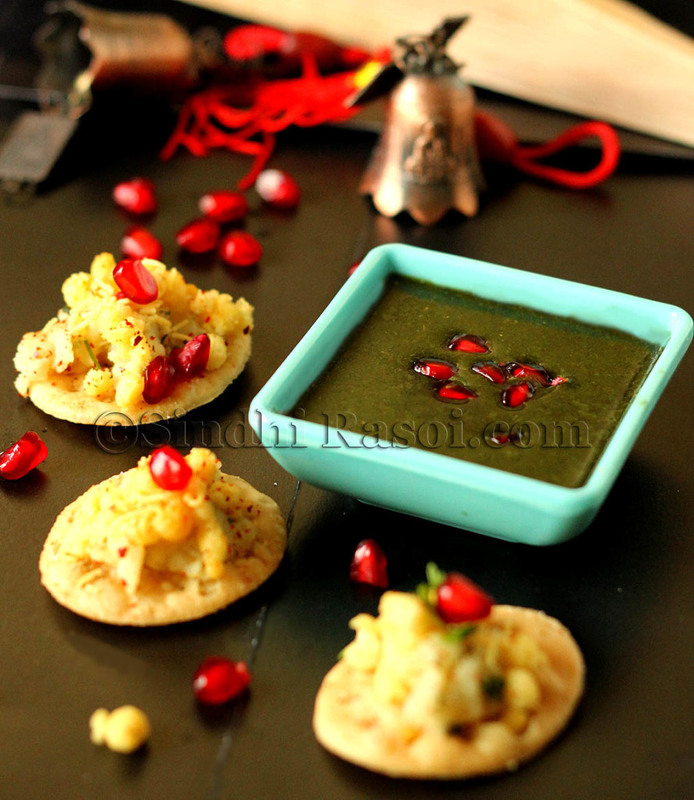 Here’s the recipe of very aromatic, sweetish, pomegranate chutney…. Blend all the ingredients together to make chutney. 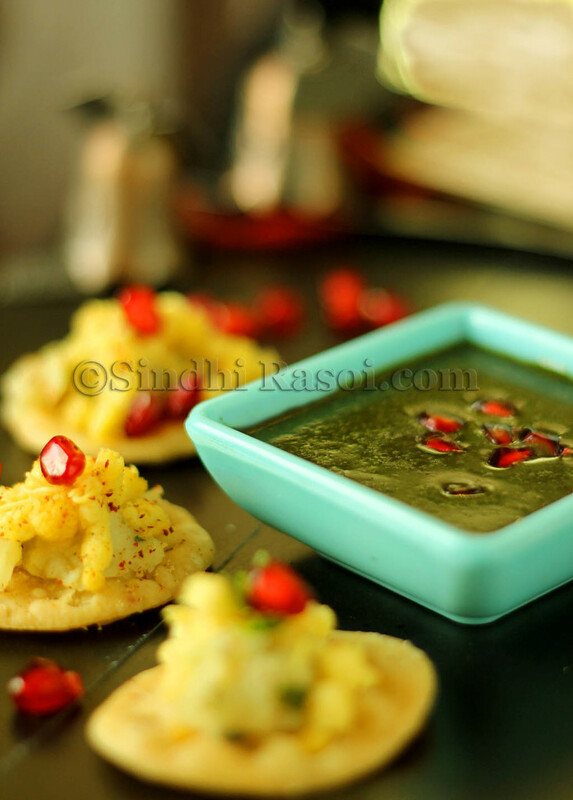 Since Pomegranate seeds are sweetish, you need to add more chillies as compared to regular green chutney. I first used 3 green chillies but the chutney was tad sweet so using more chillies is advisable. 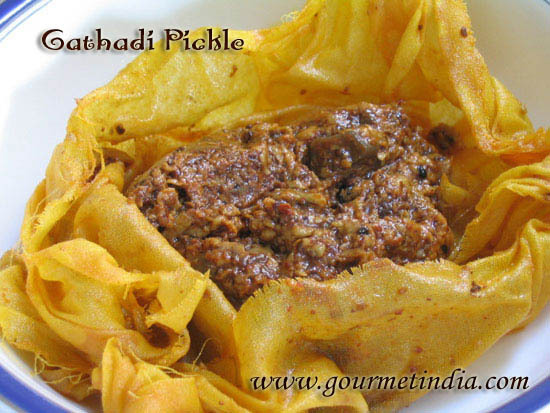 Since we are using black salt, hence taste the chutney when ready, and only then add the table salt, if needed. This chutney stays good for 2 days when refrigerated. Add some sugar to this chutney to make the sweet Panipuri chutney. Add some panipuri masala for the kick.This sweet chutney along with spicy mint chutney, tastes excellent when filled in golgappas.